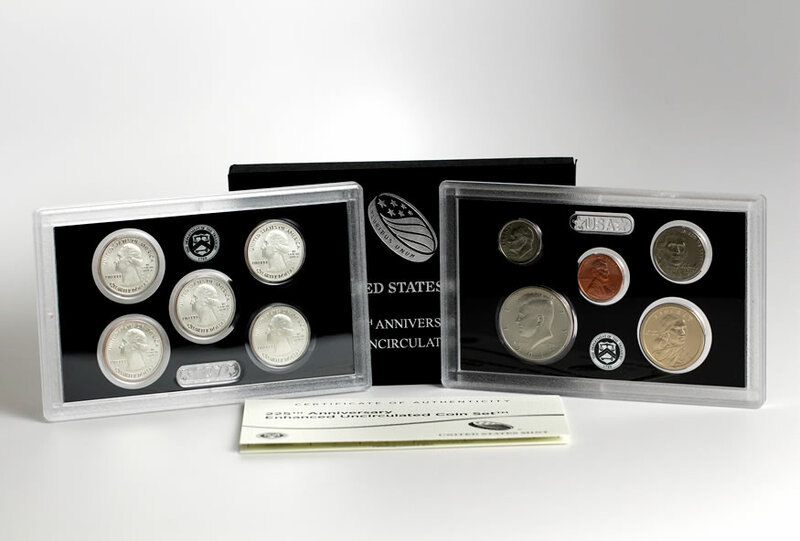 Not many 2017-S Enhanced Uncirculated Coin Sets are left, based on the latest United States Mint stats and their rotating sales availability. U.S. Mint figures through Sunday show their sales at 223,310 out of the possible 225,000. They’ve been going on and off sale since early Saturday as the Mint continually consolidates orders. Elsewhere, the 20th anniversary 2017-W Proof American Platinum Eagle is unavailable at the time of this writing. Its latest sales brought it down 209 to 9,017. The Mint placed its mintage limit at 10,000. The U.S. Mint published sales data for 292 numismatic products. One hundred and thirty of them outperformed their prior weekly gains compared to 215 previously. Eight products increased by more than 1,000 units compared to 7 previously. In addition, 4 products saw their sales total reduced compared to 7 previously. The other notable product to decline — aside from the 2017 Proof Platinum Eagle — was the 2017 Ozark Five Ounce Silver Uncirculated Coin. It dropped 1,018 to 13,941. Below are tables showing the latest sales for U.S. Mint numismatic products. The sales period covers Aug. 7 to 13. Products with an asterisk (*) are no longer available. Visit the United States Mint website at http://catalog.usmint.gov for product information. My thanks for this important information. I take it that you have connections with someone from the US Mint. My thanks for your comments… I think the Lincoln cent will be the key to the set. With only 225,000, we are looking at half the mintage of a 1909 s VDB. Of course, we have the demand side of the equation. Ken, demand is the Q as the # of collectors drops & the motivation to deal with all the mint’s BS. Also, most sets seem to have a defect in the holders/an oil slick or such, many returns may be for this based on my experience 85% of the sets may have this gunk….. As to resales, if the guy sold sets @ $35, he netted about $1.50 a set…..alot of work for a $400 profit or so w/o paypal fees, etc. It appears that most of these sets are grading as SP 70. Perhaps the results of cherry-picking by the sellers. 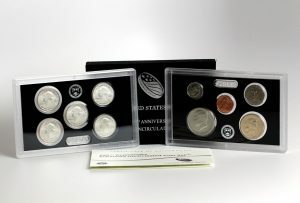 all ungraded 2017 s coins from the enhanced set are selling for seven dollars and way above that for graded coins . So you can get twice what you paid right there for a set, wipe the goo off with Q tip and fine terry cloth end of problem .I wonder what a roll of these pennies will go for in one year. If Congress would get their collective heads out and eliminate the penny then maybe a lot more then if Congress doesn’t (the most likely scenario). Any thoughts on why over 1000 Ozark 5oz PUC’s came back? I think the mint set a new record on returns on the enhanced set, as of today, 27,700 returns with returns still coming in as we speak. they have been selling returns for 16 days now. Probably has to do with an audit process. The figures were probably over-exaggerated. Someone did a physical count and the numbers were adjusted accordingly. This is an item that nobody hoards. Even the TV coin shows leave these pucks alone. I think the flippers were counting on this becoming unavailable after a few minutes on August 1st and being SOLD OUT a week or so later. After they became available again, I’m sure many got cold feet.